Shigeharu Asagiri loves beer so much he has even brewed it by the light of the moon. He’s not a bathtub hootcher with vampiric tendencies, but the boss of Japanese microbrewery Coedo and a man committed to putting his craft beer on the map, no matter what it takes. His nighttime brewing activity came just after the earthquake that rocked Japan’s Tohoku region last March led to frequent blackouts at his brewery just outside Tokyo. From those difficult days and dark nights, Coedo has continued to make some award-winning beers that are helping to put the spotlight on interesting microbrews from Japan. Earthquakes and blackouts aside, it hasn’t been easy for Coedo, founded in 1997 by Asagiri’s father-in-law. It wasn’t until prohibitive laws against small commercial breweries were repealed in 1994 that a microbrew scene in Japan could emerge. Even since then, breaking the chokehold the big four Japanese brewers – Asahi, Kirin, Suntory and Sapporo – have on the domestic and international beer market has been a challenge. What Coedo produce in a year is the equivalent to what just one of the big boys produce in a day. The taxman in Japan still takes around $2.50 on every liter of beer brewed there, which has led to the big breweries creating cheaper “beer-like” drinks (alcoholic and often additive-rich) and further diluting the market among a local population more familiar with types of sake than varieties of beer. Asagiri discovered the thrill of beer while backpacking across Europe after graduating from university. After a desk job in Tokyo, he took over the reins of Coedoin 2003; the highpoint for the number of independent breweries in Japan. That number has been declining since with only around 50 operating microbreweries today, says Asagiri. 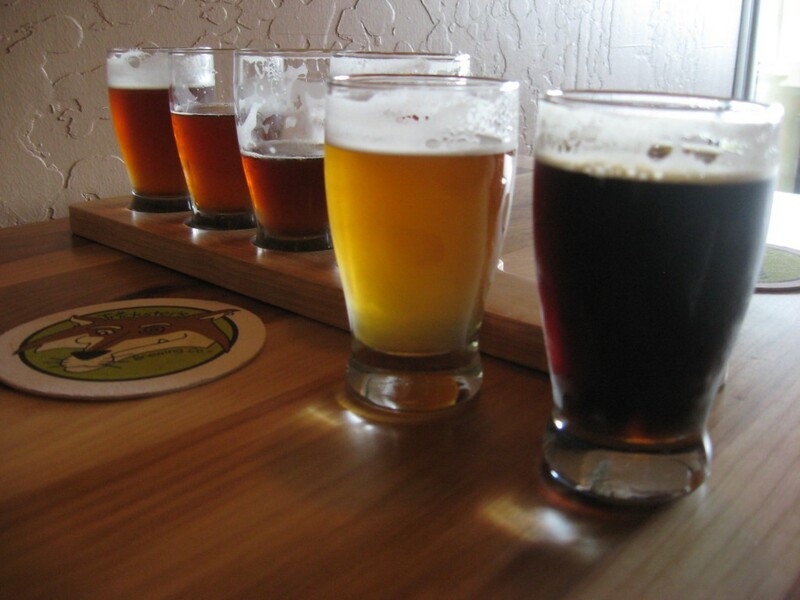 But if the number of breweries has decreased, the quality of the brews has generally risen. By bringing in a German braumeister to train the Coedo staff and using German and Austrian grains, Asagiri decided Coedo would emphasize quality with its five brews. Coedo’s beers aren’t pasteurized so strict hygiene is enforced at the state-of-the-art brewery; employees aren’t even allowed to eat natto, a typical snack of fermented soya beans, for fear of bacteria spoiling the beer. The award-winning Beniaka ale also has a nice twist as it is brewed with locally-grown organic sweet potato as one of its ingredients. But Asagiri is keen to point out that his beer and Japanese microbrews in general shouldn’t be viewed as novelty ales; something they generally were until recently. From porters to wheat beers and IPAs, many Japanese microbrews are picking up international awards for their quality and getting a higher profile in bars and restaurants away from Japan’s shores. Hitachino Nest Beer, distinctive with its “kawaii”, or cutesy, owl logo, is sold at over 500 places in New York alone, and Hong Kong distributors have doubled the amount they’re selling in the Chinese city since 2009. Minoh Beer from Osaka is another that is making a name for itself in Japan’s growing craft beer bar scene, regularly picking up World Beer Award medals. With another Coedo “Oktoberfest” in the town of Saitama planned later this year, Asagiri is convinced real beers with character, allied to a smart bit of lifestyle marketing, will win a place at top tables across the world. “Our motto is ‘Beer Beautiful.’ I want everyone to see real beer that way,” he says. Previous PostPrevious Listen to the Lyrics Too!